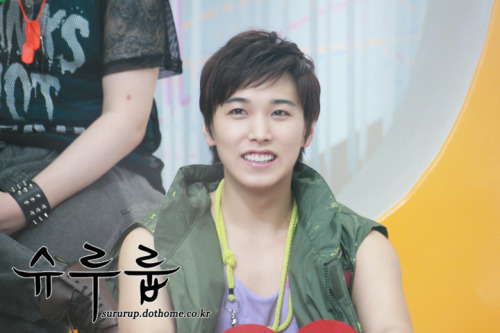 Sungmin entered the 2001 SM Youth Best Contest and jointly along with Donghae won first place for Best Outward Appearance. He debuted on SBS "Showdown of the Century" a show that showcased various SM trainees, hosted by Kangta and Moon Heejun of H.O.T. in 2002.